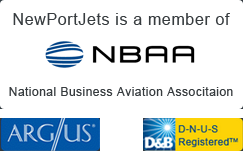 Newport Jets is recognized as a top provider of private jet travel for flights in and out of Phoenix, Arizona. Newport Jet’s air travel team is available now to plan your Phoenix jet charter service. Our experienced and professional concierge team will not only handle your jet charter flight details, but plan all details of your trip, provide ground transportation, and offer first class Phoenix hotel recommendations. Newport Jets has a wide variety of Phoenix private jets to choose from, including the Gulfstream G550 to the Learjet 31, the company has the perfect private jet aircraft for each and every trip. Our charter jet team specializes in booking jet charter flights in and out of Phoenix, Scottsdale, Los Angeles, and Las Vegas – as well as hundreds of other domestic and international destinations. To make your stay in Phoenix comfortable and luxurious we’ve provided some local information on hotels, private jet airports and popular attractions. Phoenix is the real thing for authentic desert character. Once you spend some time in Phoenix you’ll understand why the city is so enjoyed as a top destination for as a real desert city. Phoenix is the 5th largest city in the country, but still has red rock buttes, cactus, and real live cowboys. The city sits in the center of the Sonoran Desert and is called the gateway to the Grand Canyon. Phoenix is a perfect destination for family vacations, adventures and romantic getaways. The area’s Native American tradition inspires the resorts and spas, and the golf courses are always green. You’ll find mountain parks and trails, sports venues, and a wide variety of shopping areas and chic boutiques. Phoenix is one of the fastest growing and most energetic cities in the United States. Be sure to see the Arizona Opera, Ballet Arizona and the Phoenix Symphony. Phoenix has some outstanding museums, including the Arizona Science Center, Phoenix Art Museum, Heard Museum of Native Cultures and Art, Arizona Capitol Museum, and the Pueblo Grande Museum and Archaeological Park. For an escape to a remote resort, the Boulders Resort and Golden Door Spa in Carefree, is just the ticket. The resort is beautiful and the amenities are plentiful with private accommodations and luxurious amenities that include wonderful recreation including championship golf, tennis, rock climbing and the Golden Door Spa. The JW Marriott Desert Ridge Resort & Spa offers luxury, wonderful service, recreation and exquisite dining.